“Advertising today is selling Corn Flakes to people who are eating Cheerios” (Levinson, 1994) In one simple sentence, advertising icon Leo Burnett is able to provide insight into the complex and constantly-evolving world of advertising. While you may not recognize Burnett by name, there is no doubt that you will know his work as he is responsible for bringing some of the most recognized brands to life; including: the Pillsbury Doughboy, the Keebler Elves, the Marlboro Man, the Jolly Green Giant, Tony the Tiger and Ronald McDonald. What made Leo Burnett so successful was the innovative use of textual, audible and visual elements to capture the imagination and the emotions of the target demographic. It is these elements combined with the emergence of communication technologies that have allowed advertising to evolve into an entity that blends information, innovation and science to be the educator of new technology. While we will examine the psychology of advertising in the digital age, it is important to consider the evolution of advertising and more specifically the inventions that helped shape its foundation. The printing press, the radio, the television and most recently the Internet are all types of media that are used to inform, educate, persuade, and communicate (Sample, 2007). It was these activities that are found at the dawn of the advertising era. In pre-literate cultures, street callers would announce the arrival of ships, cargo and where proprietors would be able to set up tables to sell their fruits and vegetables (Reference.com, 2010). The signs on the street would be crafted in the shape of whatever was being sold in the shops, a boot for shoes, a diamond for jewellery or a bag of flour for baking goods (Reference.com, 2010). In Pompeii, examples of advertising on shop signs for establishments for drinking and eating and accommodations were mostly simplistic in nature but there are also examples of “beautiful illustrations and persuasive words” (Rokicki, 1987). The walls of Pompeii were blanketed with messages in what could be considered as the earliest example of billboard advertising (Sampson, 1875). The campaign slogans for politicians would also be displayed (Reference.com, 2010). All of these inscriptions were written in Latin, and were divided by scholars into three categories: formal inscriptions, graffiti, and dipinti. The first and most formal was also the most long-lasting as stone was the standard canvas. It would be used for communicating charitable acts or to praise or immortalize public works projects. 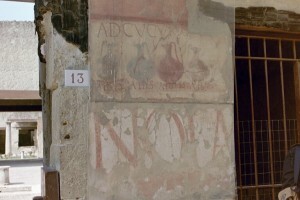 The second, graffitti, which literally translates to “scratches”, used more simplistic engraving techniques and was very popular in Pompeii. The last category, dipitni, were wall paintings that were used to promote elections, or to inform the public about upcoming games (Rokicki, 1987). In Egypt, papyrus was used as the standard media for posters and notices while commercial entities tended to use painted walls or stones. The painting of walls or stones actually originated in 4000 BCE with the Indians and their rock-art paintings. This is a great example of the evolution of advertising media across completely different cultures (Reference.com, 2010). The development of the printing press brought an abundance of change from influencing politics and family life to striving to achieve universal literacy (Ong, 115-116). The printing trade also went through a significant transformation as scribes who once wrote books, weekly newspapers and advices by hand were no longer needed. Those who specialized in decoration, illumination or painting continued to find employment for some time as such treatment continued to be applied to some printed books well into the next century (Clement, 1997). It was near the end of the 1400s where half-title pages started appearing in books listing the book title and the name of the author. This not only advertised the topic of the book, but it also acted as a promotional tool for the author and eventually evolved into the title page that is commonly found in books today. This is another example of the evolution of advertising media as the ancient art of printing helped revolutionize how books, and other types of printed media were formatted (Clement, 1997). While it is impossible to know if the author of the advertisement actually believed that coffee was the miracle cure it is made out to be, it is interesting to see that while the media used for advertising has evolved, the techniques used by advertisers hasn’t really changed. Eventually, black and white and coloured images became commonplace alongside written text in newspaper articles. The introduction of the radio galvanized the advertising world, adding a new dimension to the creative process (Wood, 1958). The invention of the television brought commercial advertising to an entirely new level, as radio programming and commercials transformed with the addition of a visual element. It quickly became the preferred media choice for advertisers (Wood, 1958) until the creation of the World Wide Web in 1990 by Tim Berners-Lee and Robert Cailliau. The vision that Berners-Lee had for what would eventually become the Internet was humble in comparison to the commercial entity that it has become today. An intricate balance of words, sounds and images blended together in a wide array of techniques used by advertisers to attempt to catch the attention of the masses (Bolter, 68-69). The complexity of advertising is such that it is recognized as a science, in particular the psychology behind successful advertising campaigns. It is almost impossible to watch television or browse the Internet without at least one commercial advertisement appearing on the screen. With television, the advertisements are usually easy to recognize. Product placement for instance is where commercial products are visible, like the Coca Cola bottles on American Idol or something more elaborate like a scene being scripted to have an actor talk about a specific feature of a product like a car or a smartphone. The latter has become more popular since the invention of the digital video recorder since people now have the ability to record live television and skip commercials. The latest advertising techniques and methodologies are based on statistics, complex algorithms, browsing and watching habits, geo-specific interests, and a wide range of other variables. They have also become a showcase for the latest technologies for displaying dynamic text, sounds and images which advertisers use to promote their product. While the quality of the product is still important, it is how the product is advertised that will determine its success or failure. Among the most successful advertisers is Apple. This is an interesting statement considering they are a technology company, but Apple is recognized equally for the aesthetics of their technology and for their multi-million dollar ad campaigns starting with the release of what is regarded as “The Greatest Commercial of All Time” in 1984. In the Internet era, it is websites like Facebook.com and YouTube.com that are among the most popular for advertisers. In fact, their entire business is based on income generated by advertising dollars. The technologies used for advertisements have become so advanced that they are able to display ads that are specifically generated to be of interest to the individual who is browsing the page. Google.com is another excellent example, their cloud-based email client Gmail has text-based advertisements that appear above your inbox. The advertisements that appear are generated based on keywords that are in the email messages that you have received. The psychology of advertising has evolved to the point that advertisers are using multiple forms of advertising media and the best elements of each to reach the widest possible audience. The following videos show how Old Spice has evolved their message from the radio advertisement that you listened to earlier to a television advertisement and a collection of videos on YouTube.com, each specifically addressed to one person. In commenting on our culture being dominated by imagery, Frederic Jameson commented that “My sense is that this is essentially a visual culture, wired for sound—but one where the linguistic element … is slack and flabby, and not to be made interesting without ingenuity, daring and keen motivation” (As sited in Bolter, 47-48, 2009). While there has certainly been a shift away from print technology, it is clear from the blending of textual and visual elements in advertising that literacy is still an integral aspect of modern culture. The creativity, actuation and risk-taking involved in commercial marketing are not only helping promote products but they are ensuring that linguistics stay relevant. An excellent example of the blending of textual and visual elements is in the following short film. While it isn’t directly related to advertising it supports the statement above. Apple(producer). (2006, April 4). 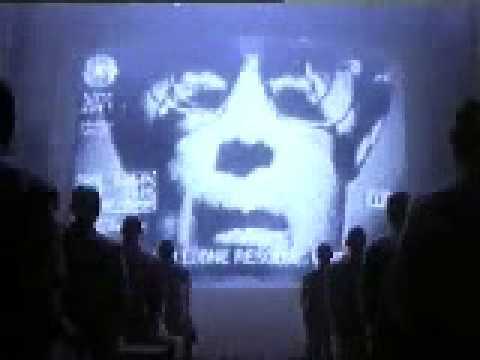 Apple 1984 macintosh commercial [commercial]. Retrieved from: http://www.youtube.com/watch?v=G9S8JS1qyRM. Apple(producer). (2006, July 25). iPod ad technologic – daft punk [commercial]. Retrieved from: http://www.youtube.com/watch?v=G9S8JS1qyRM. Clement, R. W. (1997). Medieval and renaissance book production: the printed book. In R. Clement (Ed. ),books and universities. Retrieved from: http://www.the-orb.net/encyclop/culture/books/medbook2.html. Hughes, P. (Director). (2009, January 29). SIGNS [Video]. Retrieved from: http://www.youtube.com/watch?v=uy0HNWto0UY&fmt=18. ICTeachers Ltd. (2007). ICTeachers photo library ancient civilisations. Retrieved from: http://www.icteachers.co.uk/photos/ancientcivilisations.htm. Levinson, J. C. (1994). Guerilla advertising: cost-effective techniques for small-business success. New York: Houghton Mifflin Company. OldTimeRadioFans.com. Listen to retro old radio commercials: old spice. Retrieved from: http://www.oldtimeradiofans.com/old_radio_commercials/old_spice.php. Old Spice(producer). (2010, February 5). Old Spice: the man your man could smell like [commercial]. 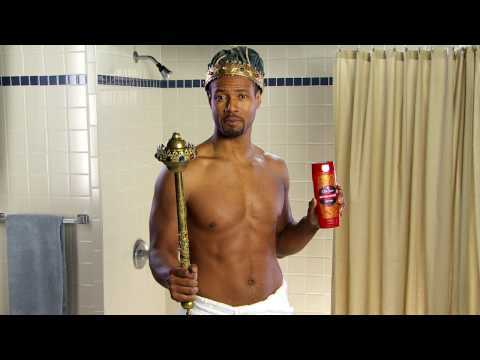 Retrieved from: http://www.oldspice.com/videos/all/22/the-man-your-man-could-smell-like/. Old Spice(producer). (2010, July 12). Old Spice: Re: @TheEllenShow [YouTube Video]. Retrieved from: http://www.youtube.com/watch?v=0Cs95FmimP0. Reference.com (2010). Advertising. Retrieved from http://www.reference.com/browse/Advertising. Rokicki, J. (1987). The CBS interactive business network: reference publications: advertising in the Roman Empire. Retrieved from http://findarticles.com/p/articles/mi_m1510/is_1987_Spring/ai_4806053/pg_5/?tag=content;col1. Sample, T. (2007). Ezine articles: The history and evolution of the advertising industry. Retrieved from http://ezinearticles.com/?The-History-and-Evolution-of-the-Advertising-Industry&id=457430. Sampson, H. (1874). A history of advertising, from the earliest times: illustrated by anecdotes, curious specimens, and biographical notes. Chatto. Wood, J. P. (1958). The story of advertising. New York: Ronald Press Co. This entry was posted in Major Project and tagged advertising, literacy, visual. Bookmark the permalink. nice job on your paper. I never really thought about advertising in this way, but the evolution is interesting. I supposed they became limited by print with the printing press, but advertising seems much more effective now. Images are just so powerful that way, I guess that is why they pay so much for product placement in movies. I wonder how much influence advertising has played in the multimodality of texts. Thinking back to as far as I can remember, most images in magazines and newspapers belonged to advertising. I’m sure a lot of publishers were forced to modify their formats in order to appease advertisers. Even with internet, a lot of the flash and glitzy stuff on websites are often for advertising. Trying to read an online newspaper often exposes you to photos, pop ups, videos, etc. . . . I don’t think that advertising is responsible for multimodal texts, but they do account for a significant portion of them. I really appreciate your comments. When I was researching advertising I found it interesting that originally when the radio was first developed there were a lot of critics against the idea of having advertisements broadcast across the airwaves. They were concerned that the commercial advertisements would intrude upon the privacy of the listener’s home. It is difficult to imagine anybody being concerned with intruding on people’s privacy in the Internet age, you can’t go anywhere online without there being at least one ad visible on the page. I wonder what it would be like if advertisements were never broadcast on the radio or television. I imagine the foundation of multimodal text would be completely different than what it is right now. This is great! While many things I’d like to say here would only feed in to support the psychology of advertising & make those who pay for it smile (love those Old Spice ads; very effective short at the end (‘Signs’)! ), your project is very informative, well put together & enjoyable to read. Modern advertising and the invisible tracking of information is enough to make one paranoid, but it certainly highlights the marvel of technological progress. You have done a great job of mixing modalities here as well… as I think about this, it is striking that this mixing also serves to bring the reader out of passivity into a more active state. To fully interact with your project requires participation by way of opening your embedded media (not uncommon anymore). While the reader has to be engaged enough to do this (I was), to do so enhances the reading experience into a fuller sensory experience, enhancing engagement with the material as well. Thank you very much, I really enjoyed working on this project. I actually found myself just as involved while doing my research and writing. This was actually my first project that blended textual, visual and audio elements and I found it much more interesting than just writing an essay. I really felt as though I connected with the material.